You have to do some preparations befor playing this game but I assure you that this game will fill your Bridal Shower Party with fun, joy and laughters. How to Play: Before your bridal shower party, get a photograph of groom enlarged and paste it on a board. 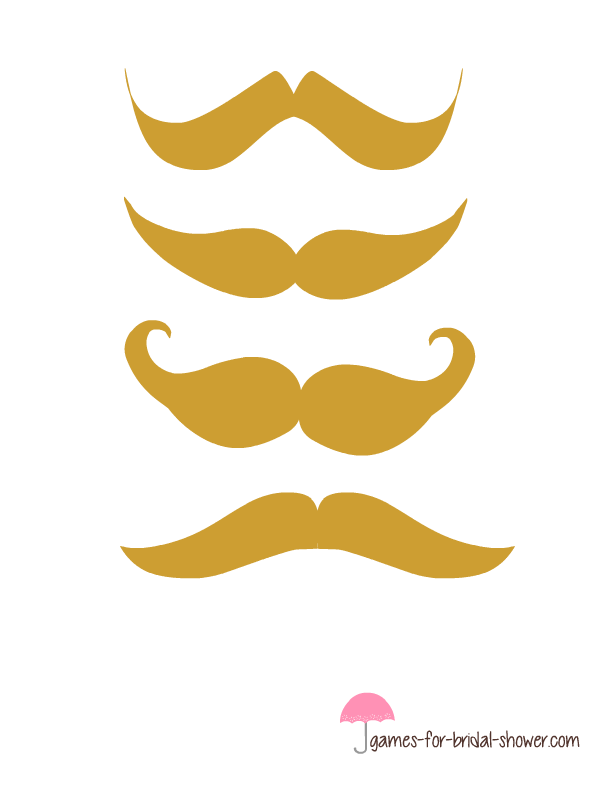 Take printouts of the moustaches that I am sharing on this page according to the color of groom's hair, cut the moustaches and paste some adhesive on the back. Now write the name of guests on moustaches, blindfold the guest and ask them to paste the moustache on the groom's picture. The guest who will paste the moustache the closest will be the winner. This is a set of Moustaches for groom in black color. Print these on card stock paper and cut according to the number of your party guests. These Moustaches are in 4 fun shapes. 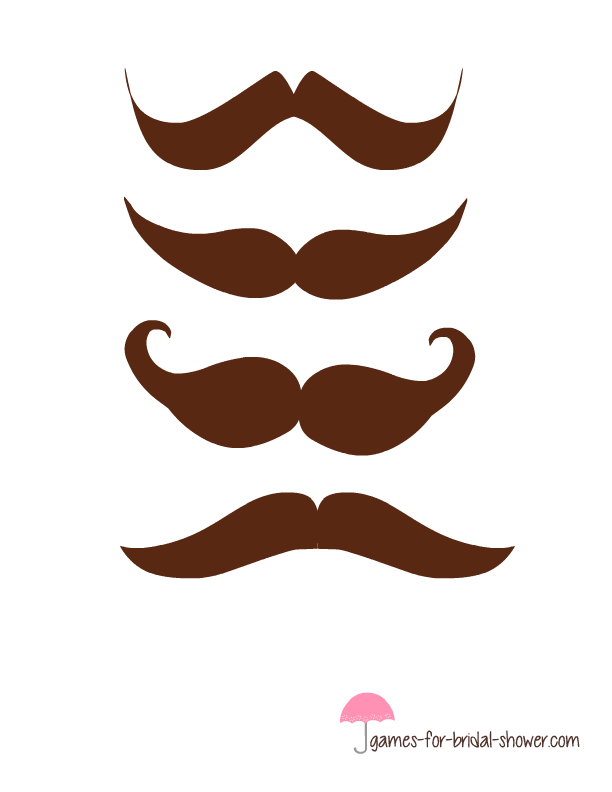 If you think that brown is a more suitable color for the groom then print these brown moustaches and have lots of fun while playing this game on bridal shower.